Dave Cialkowski is a partner at Zimmerman Reed, and practices antitrust and consumer protection law. Dave was a member of the Zimmerman Reed team representing the Mississippi Attorney General’s Office in Mississippi v. AU Optronics, 134 S. Ct. 736 (2014), where the Court determined unanimously that an antitrust enforcement action can remain in state court under the Class Action Fairness Act. He argued the appeal before the Fifth Circuit. He has led discovery teams on behalf of direct purchaser plaintiffs in In re Generic Pharm. Pricing Antitrust Litig. (MDL 2724) and In re Domestic Airline Travel Antitrust Litig. (MDL 2724). He served as court-appointed co-lead counsel in In re Dockers Roundtrip Airfare Promotion Sales Practices Litigation (C.D. Cal. ), and served on the Plaintiffs’ Steering Committee in In re Apple iPhone 3G and 3GS “MMS” Marketing and Sales Practices Litigation (MDL 2116). He was a member of the lead counsel team representing financial institutions in recovering losses suffered in the 2013 Target data breach, which resulted in the first certified nationwide data breach class and multimillion dollar settlement (MDL 2522). Dave was also a member of the lead counsel teams on several of the firm’s mass tort cases, including In re Levaquin (MDL 1943), In re St. Jude Silzone Heart Valves (MDL 1396), and In re Soo Line Railroad Company Derailment of January 18, 2002 in Minot, N.D. He helped draft legislation clarifying the scope of Federal Railroad Safety Act, an amendment Congress passed in 2007. 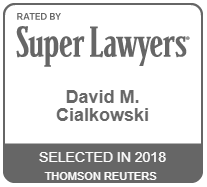 Since 2015, Dave has been recognized as a Minnesota Super Lawyer – an honor awarded to the top five percent of attorneys statewide through a peer review and research process. He was previously named as a Rising Star of law in Minnesota from 2006-2008 and 2010-2013. Dave is licensed to practice before, and is a member in good standing of, the Bars of the State of Minnesota and the State of Illinois.